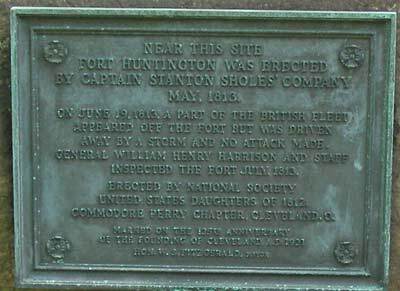 Fort Huntington was a fortress and supply depot of the Army of the Northwest during the War of 1812. 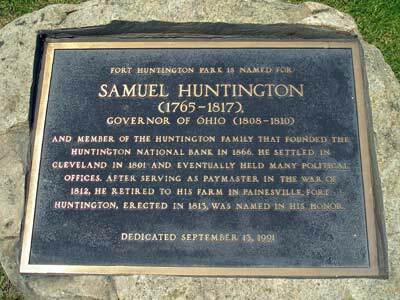 It was named for Samuel Huntington, the 3rd governor of Ohio. 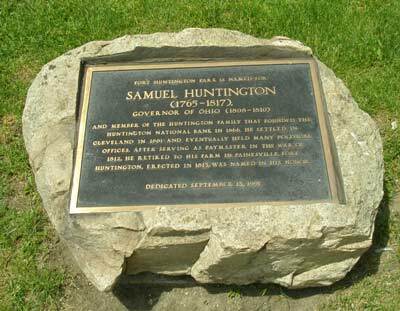 The Ohio History site says, Huntington wrote (Moses) Cleaveland in November 1801: "We have now here about 200 Indians going up the Cuyahoga. They have a jealousy of my coming here, owing to a story that has been propagated amongst them, that I am raising Soldiers to drive them out of the country. I have had a great number of Workmen here who they think are Soldiers in Disguise." 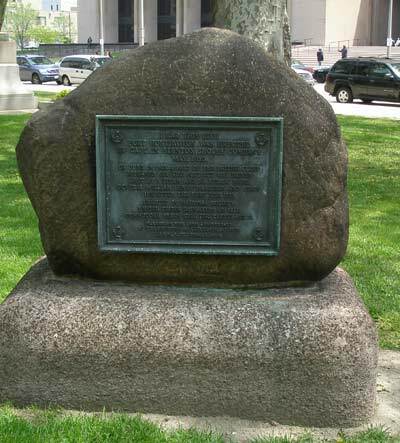 Hard to imagine that he was speaking of a site located at what is now West 3rd and Lakeside.